There are many great spots in Barcelona to grab a pint of Guinness and catch your favourite footy team in action, you just have to know where to find them! 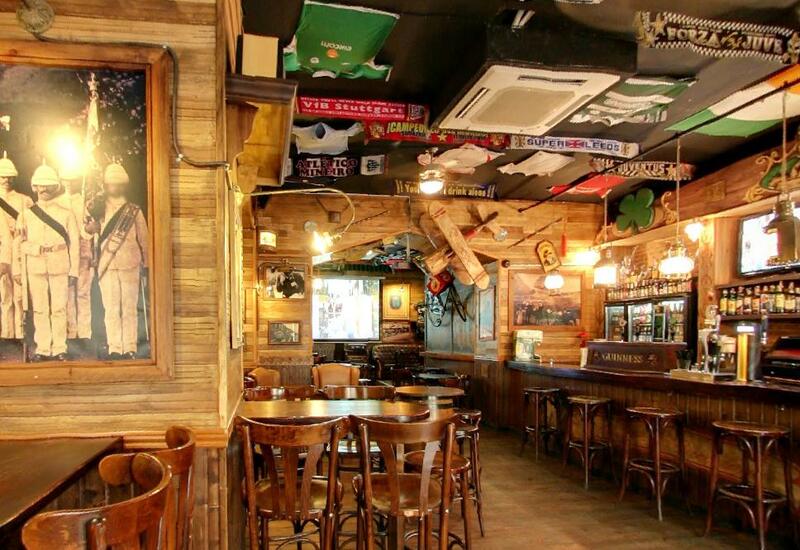 Traditional Spanish & Catalan bars are great, but if you’re craving some home comforts check out our guide to the top British and Irish bars in Barcelona. The Philharmonic is an old-school English pub with a passion for Jazz music. They host a number of weekly events including a Pub Quiz on Thursday nights (in English and Spanish) and Jazz nights every Friday and Saturday. If good old British pub grub is what you’re missing then they’ve got that covered, too! Head down to The Philharmonic every weekend for a traditional Sunday roast with roast beef, gravy and Yorkshire puddings – yum! 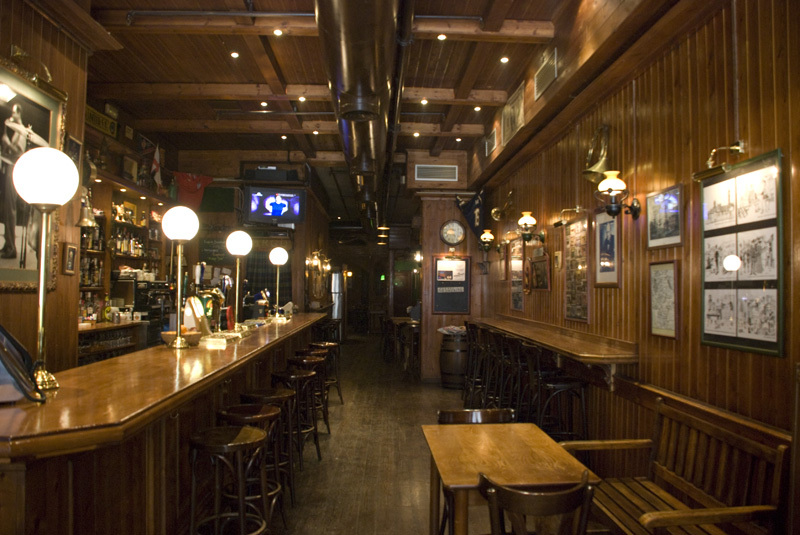 Flaherty’s is a popular, family-owned Irish pub in Barcelona, located in the heart of the Gothic Quarter just off the bustling Las Ramblas. If you’re looking for classic Irish craic and some top pub grub, you’ll want to experience an evening at Flaherty’s. There’s an extensive homemade food menu including cocktails and a long list of craft beers, providing a little something for everyone. We recommend the traditional roast, served every Sunday. 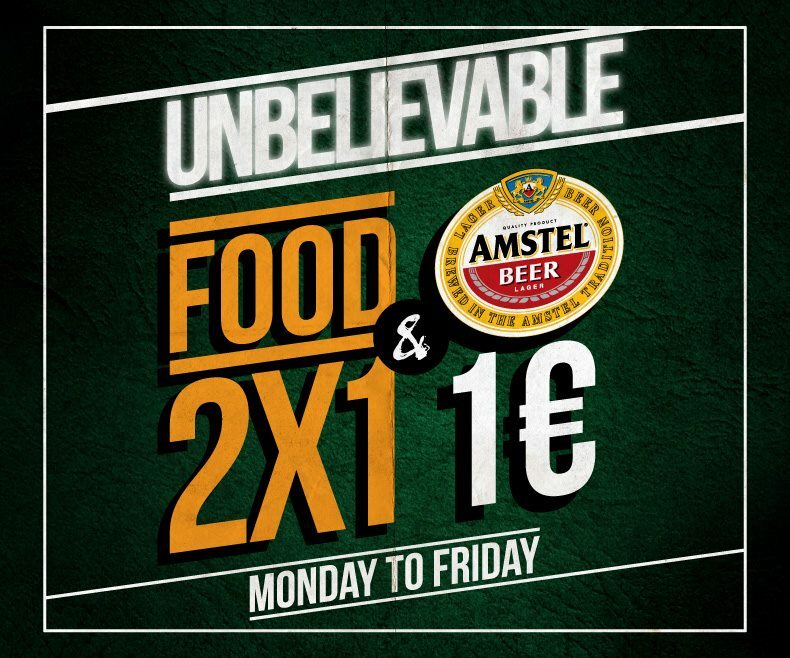 This top Irish bar in Barcelona hosts events throughout the week like beer pong night on Thursdays and ladies night every Friday, where drinks are 3,50€ all day! They show live sports every day of the week, too, so you’ll never miss a game. Flaherty’s sister bar, Shenanigans, can also be found in Barcelona. With a cosy atmosphere and a friendly Irish pub ambience, you’ll feel like you’re in the heart of the Emerald Isle – right in the middle of Barcelona. Location: C/ Marquès De Barberà, 11, 08001. 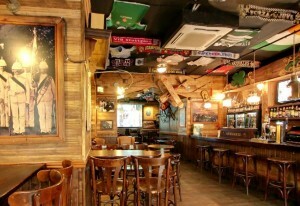 This cozy Irish pub is located in the heart of Barcelona just off Las Ramblas. The Wild Rover offers over 40 kinds of beer and live music every day of the week from 11pm to 2am. The atmosphere is often-likened to that of an authentic pub in Ireland. Whether you’re just looking to have a cozy drink with friends or watch the latest live sports game on their 2 giant screens and 6 large TVs, the Wild Rover Irish Pub in Barcelona have you covered! With competitive darts and pub quizzes on Sundays, the Black Horse could soon become your local! Located in the El Born neighbourhood of Barcelona, The Black Horse is one of the most unique British pubs in the city. 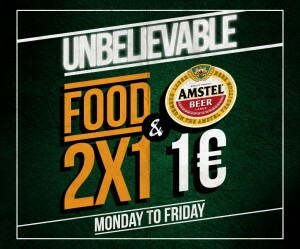 Traditional beers are on the menu as are hot, international tapas dishes! They even have different rooms with independent TVs meaning you can watch your choice of sporting event including football and rugby. 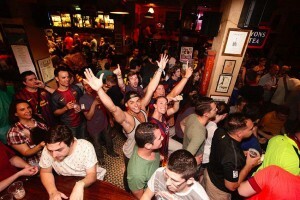 George Payne is the biggest Irish pub in Barcelona and has a reputation as being the best! Popular with locals and tourists alike, the George Payne serves up a number of fun events weekly including beer pong Mondays, Karaoke Thursdays and delicious pub grub every day of the week! With eight 50 inch TVs scattered throughout the pub, you never have you miss a match again! This entry was posted in Bars & Nightlife, Home, Restaurants & Food and tagged Barcelona food, barcelona food and drink, barcelona music, barcelona nightlife, barcelona restaurants, barcelona tourist guide, Restaurants in Barcelona, visiting barcelona. Bookmark the permalink.